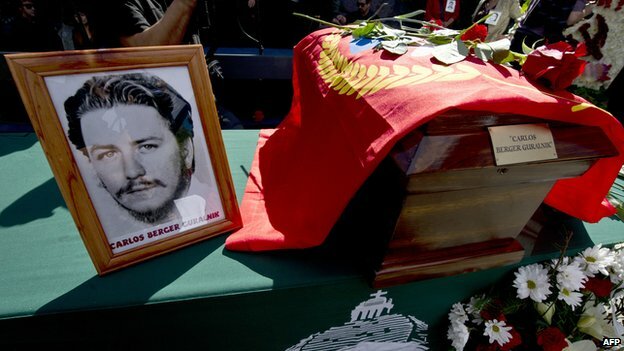 The remains of six men have been reburied in Chile more than 40 years after they were killed by the military government of Augusto Pinochet. Their bodies were discovered in an unmarked grave in 1992. The men were among dozens of people killed by a military unit in late 1973, just weeks after General Pinochet came to power in a coup. His officials flew around the country in helicopters, and executed political prisoners by firing squad. The men – Carlos Berger, Carlos Escobedo, Luis Moreno, Hernan Moreno, Mario Arguelles and Jeronimo Carpanchay – were killed in the northern Chilean city of Calama. Mr Berger, a lawyer and journalist, had been arrested on 11 September 1973 after refusing to broadcast a government message at the radio station where he worked. 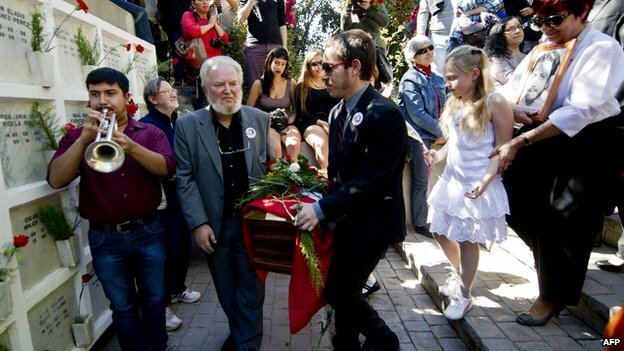 His and the other men’s remains were identified after extensive forensic tests in Europe, and finally buried in a ceremony at the main cemetery in the Chilean capital, Santiago. The six men were murdered by what became known as the Caravan of Death, in one of the most notorious episodes of the Pinochet government. The General sent the “delegation” of military men to Chile’s provincial towns because he was reportedly annoyed that some commanders there had been “soft” on political opponents. The Caravan of Death is thought to have killed 97 opponents of the military coup. The BBC’s Gideon Long in Chile says the military wanted to punish its opponents, but also strike fear into the Chilean people. According to official figures, 40,018 people were victims of human rights abuses during the 1973-1990 Pinochet government and 3,065 were killed or disappeared. 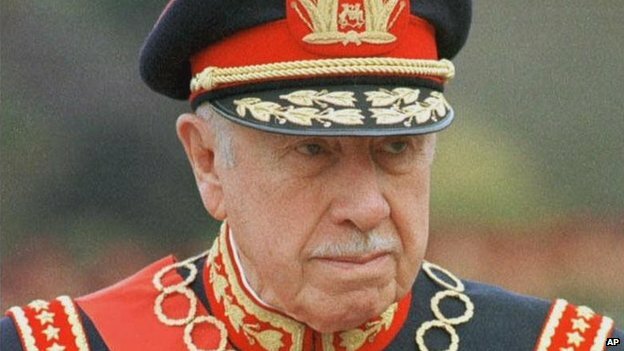 Augusto Pinochet died in hospital on 10 December 2006, aged 91. For the original article, please click here.